Experienced, enthusiastic, and professional chiropractors in Norwich providing an outstanding standard of care. We know how frustrating, tiring and limiting living with pain can be. Whether it’s the result of a short-term injury or a chronic long-term problem, managing pain is a large concern for many. 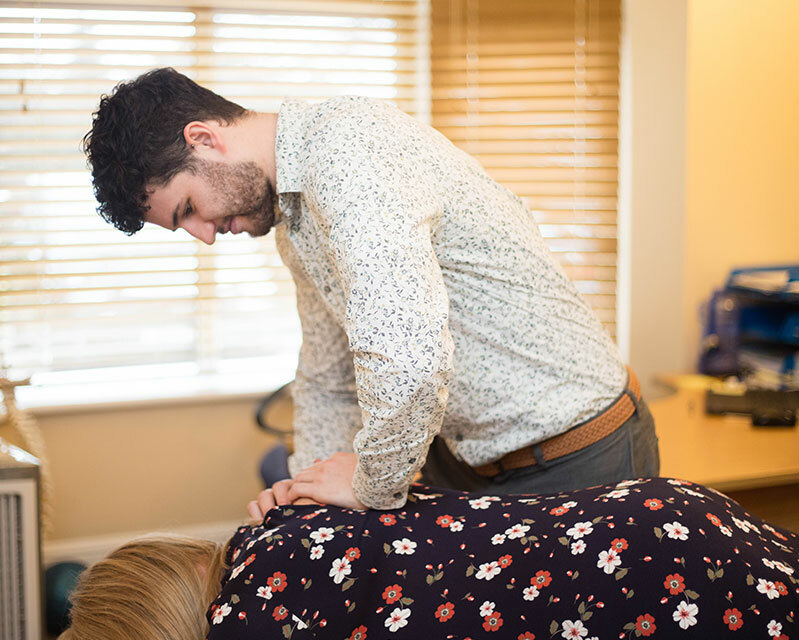 Our team of dedicated chiropractors in Norwich are focused on finding and addressing the cause of your problems, rather than just simply treating symptoms which may only provide short-term pain relief. Using a unique and bespoke combination of chiropractic care, K-laser medical therapy and massage therapy, we provide each of our patients with honest and professional evidence-based care, education, and self-help. Ultimately, our chiropractors work towards finding an effective long-term solution to your pain. If you require more information about our services or would like to book an appointment, call us today on 01603 414740 or email us at reception@angliachiropractic.co.uk. Our expert team of chiropractors offer a full spectrum approach from our Norwich clinic, dedicated to helping our clients achieve and maintain optimal health and results. Our team offer massage therapy, chiropractic therapy and sports massage all from within our Norwich clinic. The experts at Anglia Chiropractic are dedicated to helping you achieve optimal wellbeing and will help guide you in your journey towards recovery. We are privileged to be the first, experienced and only certified K-Laser medical provider in East Anglia. 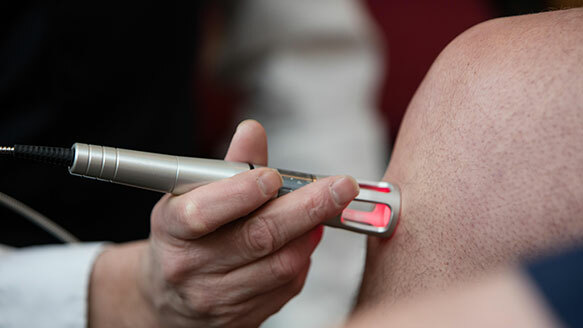 Our class IV laser is the most powerful, most advanced, and most effectively penetrating laser technology available today for therapeutic use, supported by an increasingly growing body of clinical research and experience. At Anglia Chiropractic Healthcare, each of our patients is treated as an individual. We pride ourselves in understanding the unique requirements of each person who walks through the door. Our chiropractors emphasise with and respect each patient equally in a calm and supportive environment. We aim to provide the finest clinical and evidence-based care, where people can be confident and reassured that the choices they make are specific to them, minimising the risk of unnecessary treatment where possible. If you have never visited a chiropractic clinic before, it may seem like a daunting prospect. So, to give you a better idea of the overall experience, we’ve put together a short guide of what you can expect when visiting one of our chiropractors in Norwich. Of course, should you have any further questions, please feel free to get in touch. You will be warmly welcomed by one of our friendly team before being guided through the necessary paperwork for completion. This will include a detailed case history as it is important for both parties to know that it is safe and appropriate for a chiropractor to work with you. Once this is done, you’ll be introduced to the chiropractor responsible for providing your care. You will then undertake a short examination comprised of standardised chiropractic, neurological and orthopaedic tests in order to obtain vital information about the function of your spine, any influence on the nerves and associated joints and muscles. A thorough, but relevant assessment will indicate what may be causing or contributing to your problem. The initial consultation takes approximately 40 minutes. After this initial visit, we will sit down and review all the information for us to be able to make the appropriate recommendations for your report of findings. In some cases, some emergency care or advice may be given. The second time you visit our chiropractors will be to receive the report which has been put together during your initial consultation. Addressing the findings from your first visit which lasts approximately 20-30 minutes. We will review what was discovered during the initial examination and determine how likely it is to be related to your condition. Having completed this review, it will be possible to offer a recommendation for future care. The second time you meet with one of our chiropractors in Norwich, we will spend time answering any questions you might have about the various stages of your care. At this point, progress becomes a partnership and if you are happy for care to commence, work can begin. As your care progresses, scheduled check-ups will generally take just a few minutes. However, as your plan is specifically tailored to your unique requirements, you may find it takes a little longer. We charge a standard fee for these visits and the amount charged will not alter if your visit requires a longer appointment. Similarly, if no adjustments are necessary, no fee will be payable. Ready to get started? Call our clinic on 01603 414740 to arrange a time for us to begin your journey to a healthier future. Why choose Anglia Chiropractic Healthcare? Established in 2002, our family run team of chiropractors continue to work in the original location which is easily accessible, with onsite parking and has fully functional facilities. 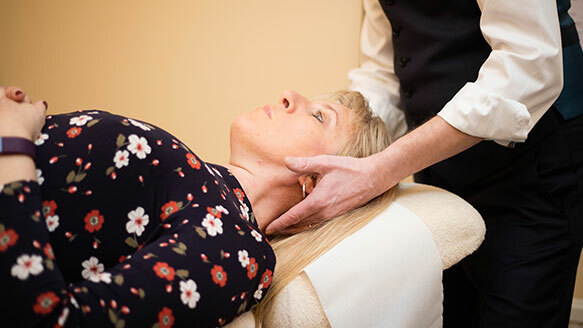 Combining a calming environment with outstanding service, we pride ourselves on being one of the finest teams of chiropractors in Norwich, Norfolk, Suffolk and beyond. Our aim is not only to help you with initial pain management, but to create longer lasting results by tailoring a responsive care plan and providing ongoing support. Our clinic carries out safe, gentle and effective techniques that remove or reduce nerve interference, optimising the function of your spine, nerves, muscles and joints. 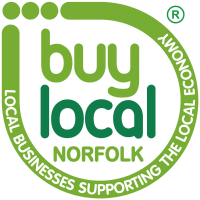 What can you expect from our Chiropractors in Norfolk? Our chiropractors in Norwich have designed the practice to be a comfortable, friendly and welcoming environment, achieved in no small part by the honesty we promote between our patients and the team. We take time and care using carefully crafted procedures to clearly explain if and how we can help you. Our team will endeavour to provide you with a diagnosis and explain what you can expect moving forward, keeping you informed along the way, through the different stages of your care.